Marchant Barron, who started his involvement at Circles Network when he was just 5 years old, has led an inspiring life of inclusion, which, as you can imagine, has not always been the easiest route. How wonderful it is today, to see the world wake up to his outstanding achievements, which was illuminated on BBC2’s AutumnWatch. 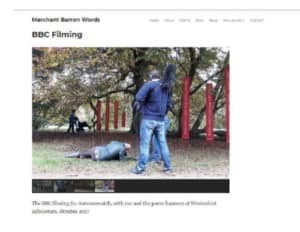 Please watch and share like crazy this little clip showing the installation of his poetry at the beautifual Westonbirt Arborteum, in Gloucestershire. I am personally so proud to be a close friend of Marchant’s throughout much of his life – Mandy Neville, CEO, Circles Network. If you would like to purchase any of Marchant’s poems, his book is due out very shortly, and is available for pre-order on his website, the link of which is below.